Throughout the years the Educational System in America has upgraded the reading, writing and arithmetic levels of Americans in general. The American Education system has evolved over the years and continues to improve as each new government directs attention to it. Currently education is primarily provided for children attending grades kindergarten through to grade 12, secondary school. The Educational System in America currently even gives attention to immigrants and refugees who are now adults and to adults who have not yet received their diplomas. This provides all with an opportunity to upgrade their present jobs thus being able to provide better for their families. Over the years this system has worked well for all. In the modern world though new challenges have arisen requiring new solutions. Among these challenges are security measures in schools. Provisions are now needed to keep our children safe against all kinds of predators. Metal detectors are now essential in most schools. Heightened security measures provide both students and parents with a sense of security. A changing world means a changing attitude to old ways. The Educational System in America has also been affected, like other institutions, by budget cuts. Because of budget cuts there are less teachers for more students. Bigger classrooms affect the attention that each individual teacher can give to the various students in their classes. Students with special needs may be set aside in order to give an overall attention. Learning disabilities may go unnoticed because of having too many students to cope with. Often, good teachers, move on to other careers or better paying jobs because cutbacks affects their salaries as well. Equipment in schools is another challenge in today’s world. Computers are expensive but necessary in the world we live in. Children need to have access to these provisions. Some school districts are often to poor to afford the equipment that a school needs. Special programs are affected as well. These include physical education, drama, arts, music and advanced and special need programs. One of the first to be affected are the arts, music and drama. Schools nowadays can’t always afford instruments for the young people to learn on. Bands are being dissolved as are school plays and special arts classes. 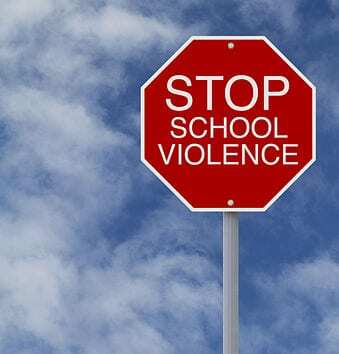 Some schools reduce them and others need to eliminate them entirely. This is increasingly a sad problem for the arts are a way to grow as people. They bring pleasure and creativity is essential for the human soul. Special needs children are also receiving less attention due to cutbacks. Thankfully there are still wonderful dedicated teachers who provide special care for these young ones. Students who excel in certain areas also thankfully have teachers who motivate them to follow their dreams. There are many challenges in the School System of today. Many parents have decided to remove their children from the public school sector and put them either in private schools or home school them themselves. This comes with its own set of challenges.